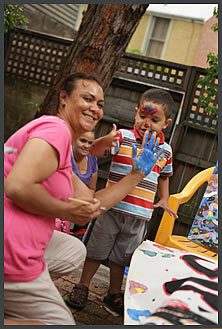 Mudgin-Gal is an Aboriginal organisation based in inner-city Sydney. As a service run by Aboriginal women, for Aboriginal women, it is unique. Mudgin-Gal means ‘women’s place’. 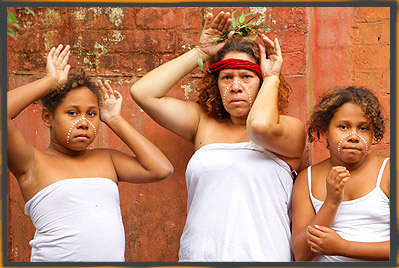 Mudgin-Gal’s identity and the enduring support it offers in the heartland of Australia’s urban aboriginal population defies conventional description. It offers safe haven and active support for women, girls and their young families through services that, because they are offered peer to peer are again, unique. These services span Mudgin-Gal’s day-to-day operations and welcoming presence as a drop-in centre and source of positive cultural and social networking, through to dedicated programs in areas such as in-home family support; provision of expert referral for accommodation, legal and medical support and court support and post-release services. Perhaps most important is Mudgin-Gal’s role as a leader in the community. 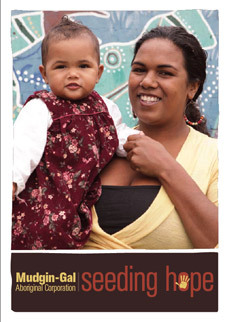 Through the growing suite of award-winning mentoring and education programs run through its ‘Healthy Family Circle’ program, developed in partnership with Relationships Australia, Mudgin-Gal is empowering women and young girls with the self esteem, confidence and life skills they need to become role models for their own children and families and, by extension, for their community. Through its groundbreaking work to address family violence, Mudgin-Gal has gained national recognition. Its ‘Black Out Violence’ campaign won the Violence Against Women Prevention Award in 2004 and has since been rolled out – with help from Mudgin-Gal trainers and ambassadors – to communities in regional NSW. The program has been cited by the Human Rights and Equal Opportunity Commission as a best practice model for addressing violence in urban Aboriginal communities. By building strength from within, it is Mudgin-Gal’s vision to help shape a community that lives with hope, pride and self sufficiency; a community in which every member has the same chance of achieving his or her dreams as any other Australian. Mudgin-Gal is currently run through the efforts of volunteers along with intermittent funding from a variety of state and federal government sources on a project-by-project basis. As such, the breadth, depth and continuity of services it provides is under constant threat. Its day-to-day administration and other critical requirements are unfunded. It is our hope that with support from the broader community Mudgin-Gal’s work can continue and its vision and promise can be fulfilled. Mudgin-Gal became an Aboriginal Corporation in 1992 and has tax deductible gift recipient status from the Australian Tax Office.